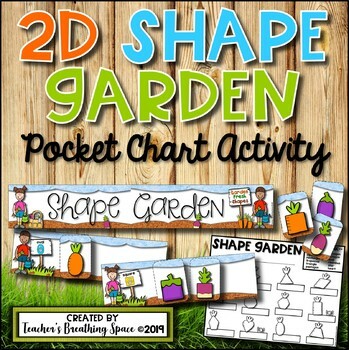 If you're looking for a fun way to reinforce 2D or plane shapes in class, this adorable Shape Garden Pocket Chart set may be just what you need! 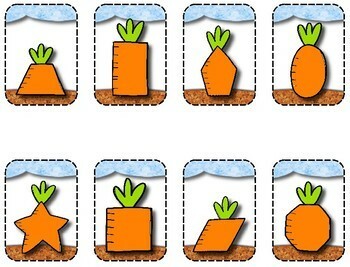 These fun little carrots, radishes and eggplants will make a perfect addition to your Spring math centers or as a supplement to your plant studies.....So cute! 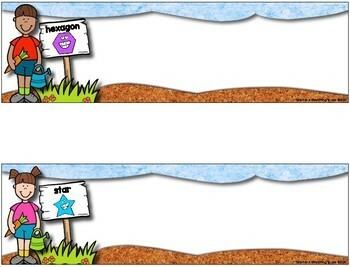 The shapes that are reviewed in these materials include the following: circle, square, triangle, rectangle, oval, pentagon, hexagon, octagon, trapezoid, rhombus, star, and heart. This set includes a title strip, 12 labeled shape-sorting strips, 12 carrot shape cards, 12 radish shape cards and 12 eggplant shape cards. All materials fit perfectly in a standard-sized pocket chart. 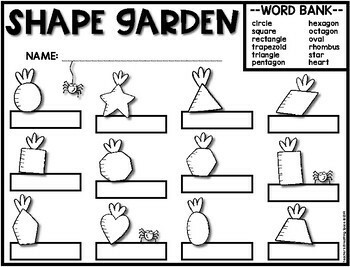 You'll also find a "Shape Garden" recording page for kiddos to record the names of the shapes. Spring Measuring -- How Many Butterflies Tall Are You? Insect Labeling and Writing --- Insects Are BEE-lightful! • Go over to your My Purchases page (you may need to log-in). Beside each purchase you'll see a flashing "Provide Feedback" button. Simply click it and you will be taken to a page where you can give a quick rating and leave a short comment for the product. TPT will give you feedback credits which you can use towards future purchases --- woo hoo! Plus, I value your feedback greatly and I love hearing from my followers. It makes my day! • Look for the green star next to my store logo. Clicking it makes you a follower! You will then receive emails telling you about new products, freebies, discounts and updates!